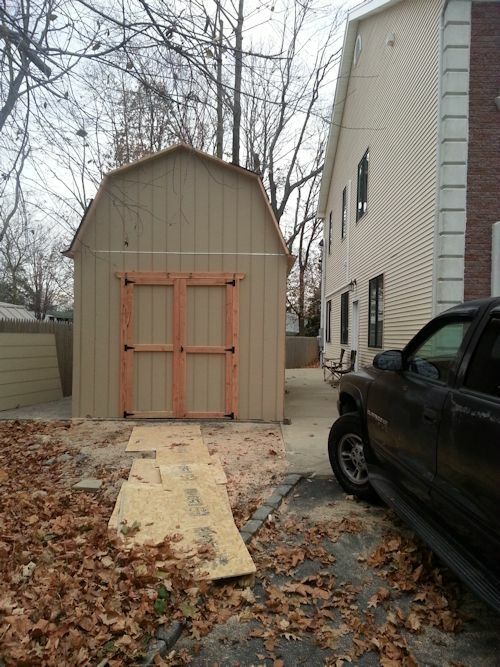 Here's Mike's motorcycle shed he built using my 10x16 barn shed plans. 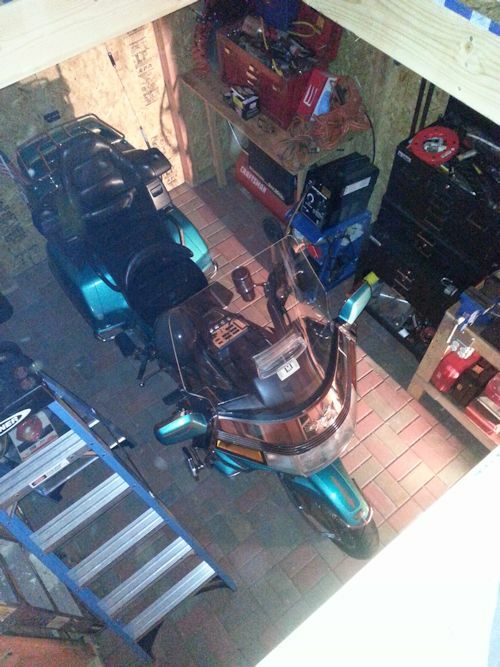 Not only can Mike store his motorcycle in it but the shed also doubles as a workshop and has a large loft of excess storage too! 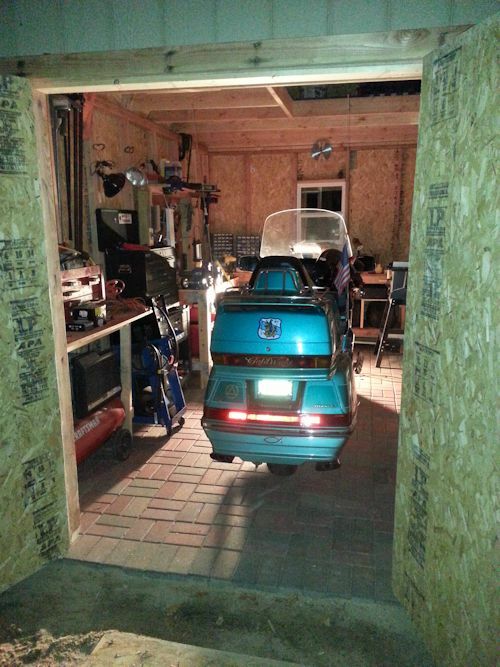 Mike easily modified to the plans to put in a window and side door. 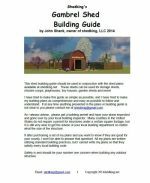 There is lots of information on how to add windows and doors to my plans all right on this website. 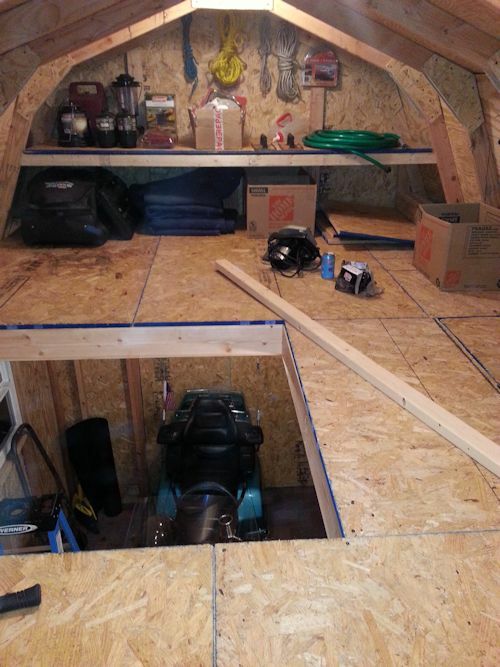 The neat thing about a gambrel shed like Mike's is that you can build a loft with any variation you want. 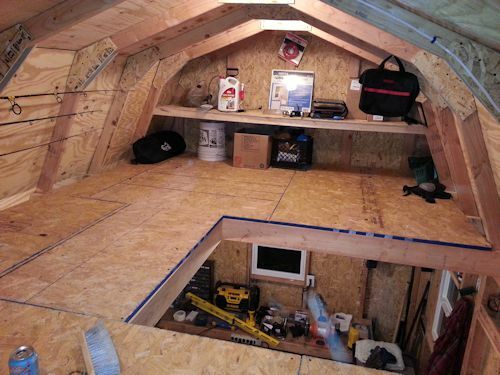 Here Mike has framed in a large opening basically in the middle of the shed so that he can have easy access to both ends of the loft. The large opening will allow him to store some pretty large items up there. 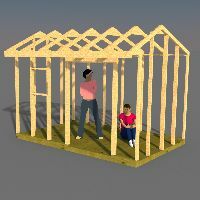 Here's a link to the plans Mike used to build his neat motorcycle shed. friend come help me. 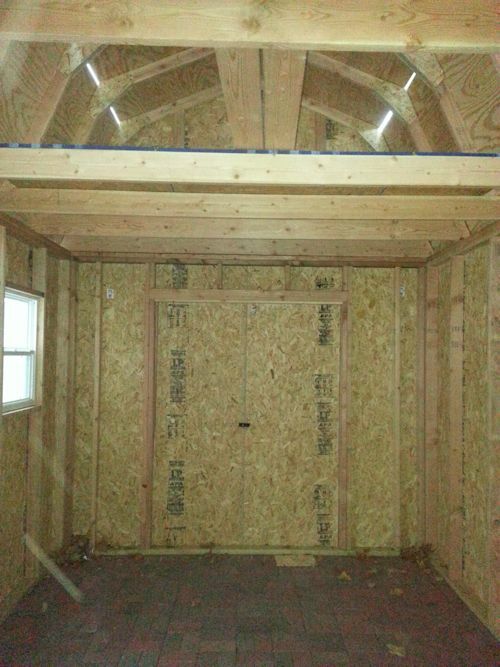 Have the Building up looks great but the roof is killing me." 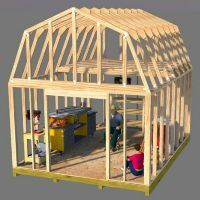 I sent back several emails explaining in more detail how to cut truss angles along with several links on this website on how to accomplish the correct cuts. 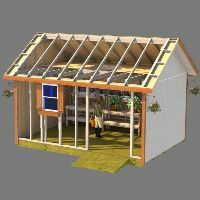 I am always happy to help customers out with any problems they have with the plans and building process. Not everyone who buys my plans is a building expert, and you don't have to be to using my plans. 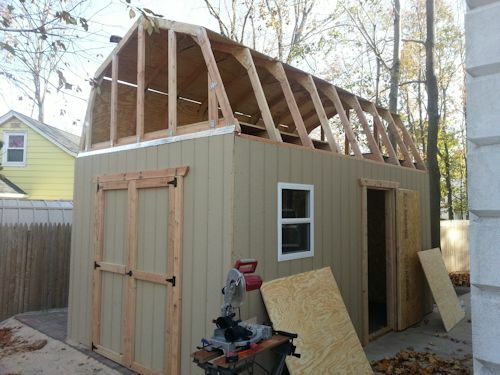 Here's more plans for sheds like the one above that Mike used to build his neat motorcycle shed.